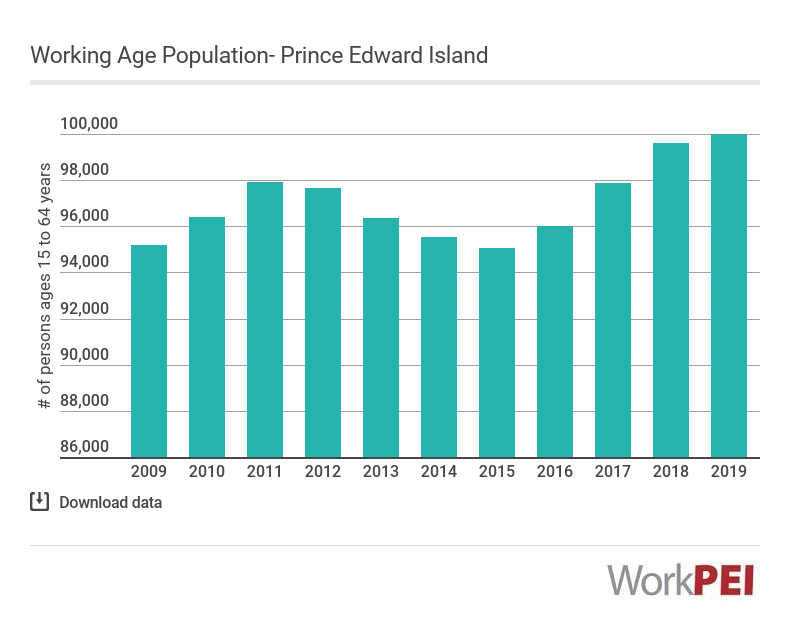 On July 1, 2018, Prince Edward Island’s median age was 43.6, down 0.1 years from July 1, 2017. The national median age was 40.8 and did not change over the same period. Median age is an age that is exactly one half of the population is older than and the other half is younger than based on annual population estimates.